There is a keen musical archaeology at work in this ambitious project, produced by Lejazzetal and recorded live in the UK last May by Belgian Gypsy violinist and composer Tcha Limberger. 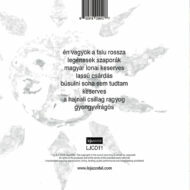 The title songs means ‘Time Darkened By Sorrow’ and was Limberger’s first exposure to the Magyar Nota Gypsy orchestra tradition of the 19th and early 20th centuries. The music envelopes you with the widescreen, cinematic sweep and sweetness of old movies and vanished empires, the aural equivalent of a grand old perfume unstoppered for the first time in a century, and filling the room with the musky redolence of a vanished order. Magyar Nota means ‘Hungarian Song’ and though it may still be heard in the pricier tourist restaurants of Budapest, it is not as popular as it was. Limberger sets out to reclaim the music and see it ‘re-appreciated in it’s essential form’, with the musicians behind him picked from the best in Budapest, combining cimbalom, clarinet, brac, double bass and cello. 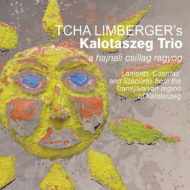 Tcha Limberger was born into a family of Belgium Manouche musicians, his father a guitarist, his grandfather a violinist. He started as a guitarist as he was very much touched by flamenco, later to banjo, clarinet and later, after hearing the Hungarian Gypsy music of Toki Horvath, to violin. That's why he went to Budapest, learned Hungarian and took lessons with Bela Horvath for a year and a half. The result is that now there is a CD. One can hear that Limberger passionately searches for tradition but his musical background is clearly present, even though he plays the music he loves in it's purest form. One can hear he also loves jazz and flamenco – not immediately, but the music Limberger makes with this Budapest Gypsy orchestra is impregnated with all his musical experiences. 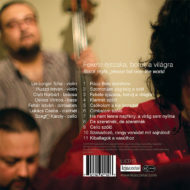 Bura termett ido, is his first album, was live recorded in the UK, with the best Hungarian Gypsy musicians and you can’t possibly imagine the traditional Hungarian Gypsy music played in a more impassioned way. Here, the tradition is given a new birth, the new elements although hardly noticeable always are present. The virtuosity and passion are undeniable facts. Tcha Limberger plays with such love for the tradition one can only sit and listen entirely fascinated. Tcha Limberger is a name one should keep on following. On a découvert le jeune guitariste-violoniste Tcha Limberger (fils de Vivi Limberger, qui fit partie de Waso) au sein de deux des multiples groupes de Koen de Cauter (Romani et Waso 4t). Pour son premier disque en leader (produit par Dave Kelbie pour son label Jazzetal), le jeune musicien manouche hollandais (il a tout juste 30 ans) est à la tête de l'excellent Budapest Gypsy Orchestra. Né dans une célèbre famille de musiciens manouches hollandais, Tcha a été bercé par les disques de Django, bien sûr, mais aussi par ceux du célèbre violoniste tsigane hongrois Toki Horvath; Entouré de Lucacz Csaba, clarinette, Ruszo Istvan, violon, Szegfu Karoly, violoncelle, Olah Norbert, bratsch, Feher Istavan, cymbalum et Csikos Vilmos, contrebasse, tous exceptionnels instrumentistes à la virtuosité stupéfiante, Tcha est tout à fait convaincant dans ces 11 morceaux du folklore hongrois (dont il signe les arrangements), tant sur les sérénades mélancoliques que dans les czardas endiablées aux subtiles nuances. A l'écoute de cette galette enregistrée en public en Angleterre en 2008 (et là ça ne triche pas! ), on a du mal à croire que Tcha ne s'est mis au violon qu'à l'âge de 21 ans, tout d'abord par plaisir; ayant pris le virus ce cette musique hongroise romantique et enivrante, Tcha apprend le hongrois, passe 3 ans en Belgique à étudier le violon avec Kallai Zsolt, avant de suivre l'enseignement d'Horvath Bela à Budapest. Dans les notes de pochette, Tcha précise que cette musique mérite d'être réappréciée dans sa forme essentielle, et que pour cette raison, il n'a pas l'intention de créer un nouveau style immédiatement. On retrouve dans cet enregistrement les caractéristiques de cette musique qui conjugue nostalgie et joie débordante, langueur et bondissement, virtuosité et sentiment. " Le violon parle avec éloquence, frémit, vibre intensément, pleure, rit, passe par tous les climats et nous prend irrésistiblement à témoin de ses joies de ses peines…au second plan, pas à pas, oserais-je dire, les autres cordes suivent, soutiennent avec une gamme tout aussi infinie de nuances…violoncelle et cymbalum sont particulièrement en vedette "; ce texte que Marcel Ondher écrivit dans les années 60 au dos d'une pochette d'un 33 tours de Lajos Boros, s'applique totalement à ce disque de Tcha Limberger et de son Budapest Gypsy Orchestra. Un artiste à suivre de très près donc! geunermuzikanten. 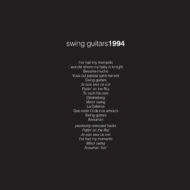 Als zoon van gitarist-zanger Vivi Limberger, bekend van Koen De Cauters legendarische Waso Quartet, kreeg hij de manouche swingjazz à la Django Reinhardt met de paplepel binnen. Spoedig werd hij aangetrokken door de zigeunermuziek uit Boedapest, de Magyar Nóta, met haar energieke begeleiding, fraaie harmonieën en verrassende ritmewisselingen. Hij leerde Hongaars en volgde viool bij Kallai Zsolt en Horvath Bela. Op zijn eerste cd wordt de 30-jarige Tcha begeleid door enkele van de beste exponenten van de Budapest gipsystijl. Tcha Limberger is primas (eerste violist), zanger en orkestleider, István Ruszó (tweede viool) ondersteunt de primas actief en passief, István Feher (cimbalon) voegt het karakteristieke getokkel toe, Vilmos Csikós (contrabas) tilt de muziek op en geeft er basis aan, Norbert Olah (bratsch) neemt her en der de ritmische functie over. Károly Szegfü (cello) zorgt voor de harmonische invulling, Csaba Lukáks (klarinet) verrijkt de melodie met trillers en andere versieringen, het publiek (de opname gebeurde op drie locaties in Groot Brittannië, nvdr) ten slotte, stimuleert de muzikanten, want een zigeunerorkest kan niet zonder publiek. Dit album bulkt van de intensiteit, virtuositeit en pathos. Ronduit wereldklasse. 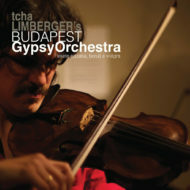 Tcha Limberger grew up in a family of renowned Gypsy musicians. 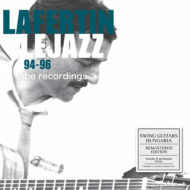 Son of guitarist/singer Vivi Limberger, of Koen de Cauter’s legendary Waso Quartet, he was spoon-fed from an early age the swinging Manouche jazz of Django Reinhardt. Very soon he was attracted by the Gypsy music from Budapest, Magyar nota, with its vigorous accompaniment, fancy harmonies and surprising rhythm changes. He learned Hungarian went to Budapest and studied the violin with Kallai Zsolt and Horvath Bela. 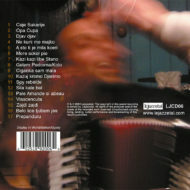 On this his first cd at age 30 Tcha is accompanied by some of the leading exponents of the Budapest Gypsy style. Tcha Limberger is primas (concert master), singer and orchestra LEADER, István Ruszó (second violin) supports the primas both actively and passively, István Feher (cimbalom) adds the characteristic hammering, Vilmos Csikós (contrabass) lifts the music up and takes care over the good basis of it, Norbert Olah (bratsch) takes care of the rhythmic contra beat. Károly Szegfü (cello) ensures the harmonic interpretation, Csaba Lukáks (manifold) enrich the melody with tremblers and other decorations. 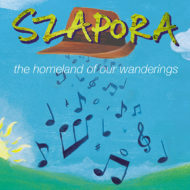 Recorded 'live' (the recording happened on three locations in Great Britain) the public at last, stimulated the musicians because a gypsy band can't play without a public. This album is full of intensity, virtuosity and pathos. Simply world class.